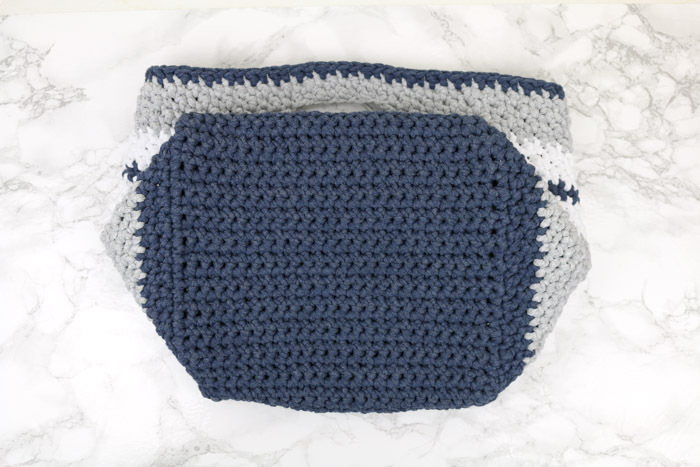 This easy crochet basket pattern is quick to work up and perfect for holding toys, towels, toiletries or best of all, yarn! 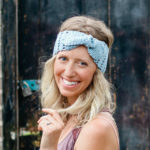 The free pattern is below or you can purchase the ad-free, printable PDF for $2.75 here. I love a good basket. While I have a heap of them laying (unused) in my office, I still can’t help myself from wandering through the basket aisle every time I’m at Michael’s or Target. 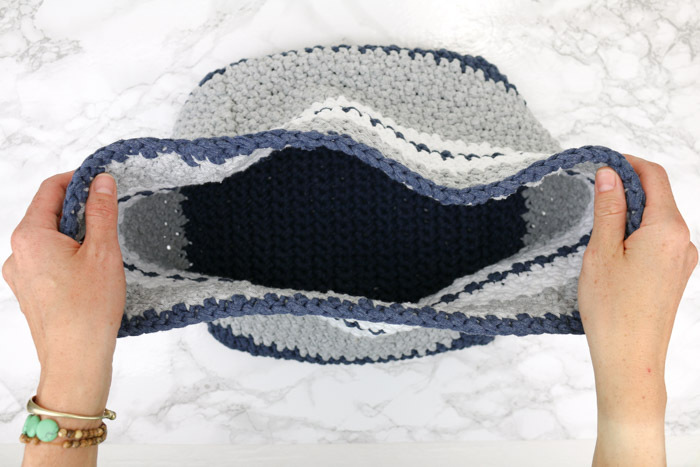 This free, easy crochet basket pattern is part of a collaboration with my friends at Lion Brand Yarn. This post contains affiliate links. So far I have not actually found the basket able to live up to my life-changing expectations of it. And I hate to say it, but this easy crochet basket pattern might not either. 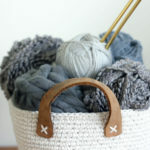 BUT this modern basket can serve as a place to stash all the things you don’t really want to look at all the time (read: Barbies) or just the things that need to say together in one spot (read: the yarn for your next crochet project). 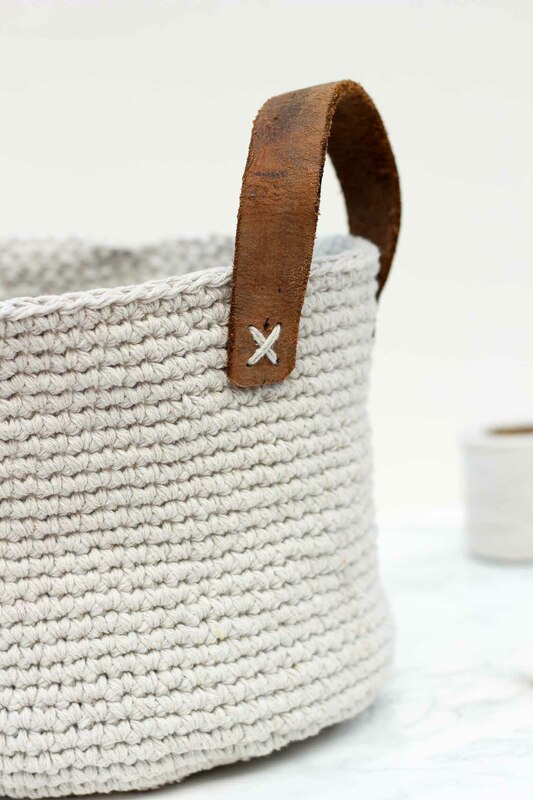 The handles in this easy crochet basket pattern are optional, so feel free to skip them if you’d rather not have handles or you’d prefer leather handles like I added to the Dollar Store Twine + Thrifted Belt Basket. 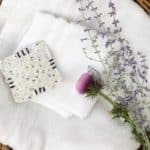 This easy crochet basket pattern is named after my momma, Jacque, who both helped with this project and is whom I have to thank for my own basket obsession. 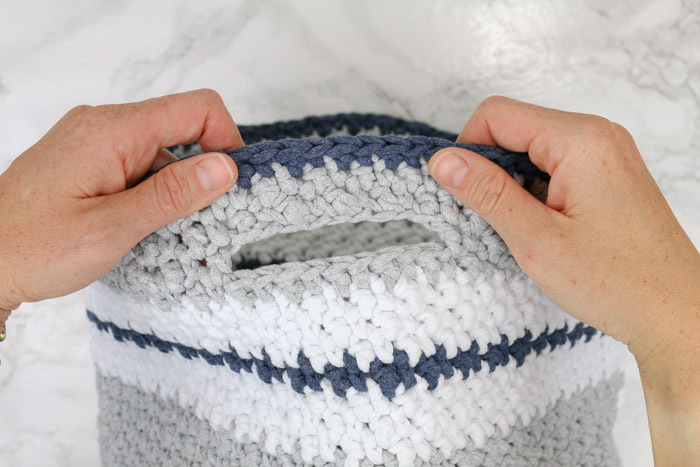 This easy crochet basket pattern is quick to work up and perfect for holding toys, towels, toilet paper, or best of all, yarn! 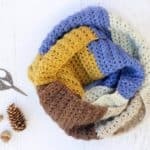 It’s worked in the Lemon Peel stitch, which is a simple combination of single and double crochets. The bottom is crocheted back and forth in rows and then the sides are added by working in the round. Perfect project for confident beginners who want to practice jog-less color changes and working in the round! 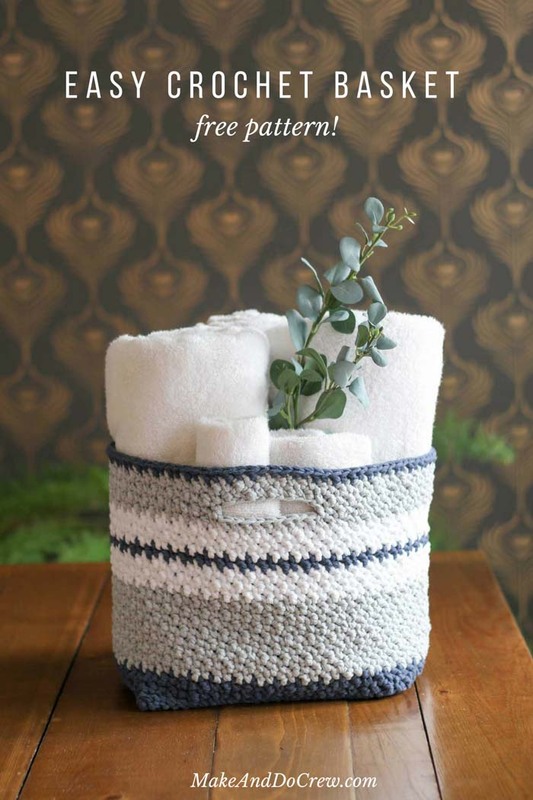 Purchase a kit with all the yarn needed to make this basket, plus a printed copy of the pattern here! • The bag base is worked first and the body is added on top. • The gauge is intentionally quite tight so as to create a basket isn’t too floppy. Foundation Row: Using Color A, ch 25. Rows 2-23: Ch 1, dc in each dc; turn. 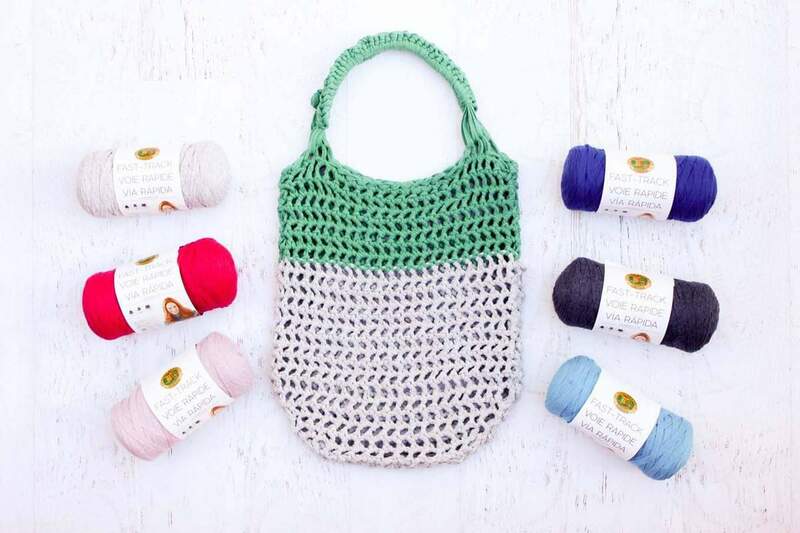 • Follow instructions for crocheting jogless stripes explained in the Audrey Tote Bag pattern. • Work with the RS of the basket facing you as you crochet so as not to make an inside-out basket. • I find it helpful to place a stitch marker in the sl st at the end of each round in order to keep track of where the round began. Be sure not to crochet into this sl st when you come back around to it. 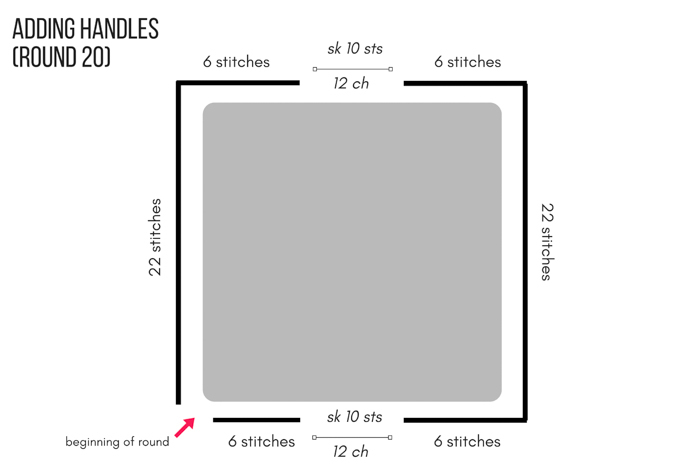 • When beginning Rounds 2 and on, work the first stitch of the round into the same st you slip stitched into the previous round. 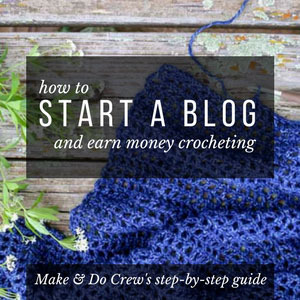 • The sides are made with the Lemon Peel stitch, which you’ll create by alternating single crochets and double crochets. On the next round, you’ll dc in each sc and sc in each dc. Round 2: Ch 1, *sc in next st, dc in the following st; rep from * to end of round, sl st to first st of round to join. Round 3: Ch 2, *dc in next st, sc in the following st; rep from * to end of round, sl st to first st of round to join. Rounds 4-11: Rep rounds 2 and 3. Rounds 12-14: Rep rounds 2 and 3. Round 15: Rep round 3. Rounds 16-18: Rep rounds 2 and 3. Round 19: Rep round 3. If handles are desired, work Round 23 as stated below. If you don’t want handles, work Round 23 as a normal Round 2. Round 23: Rep round 3. 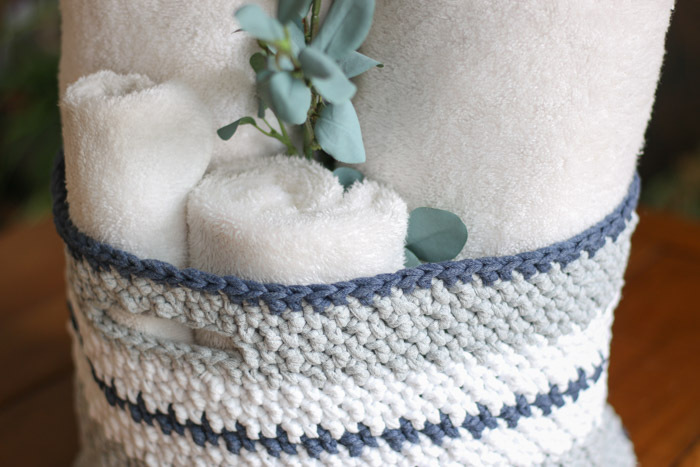 Pack your new basket with towels, toys, or better yet…yarn! 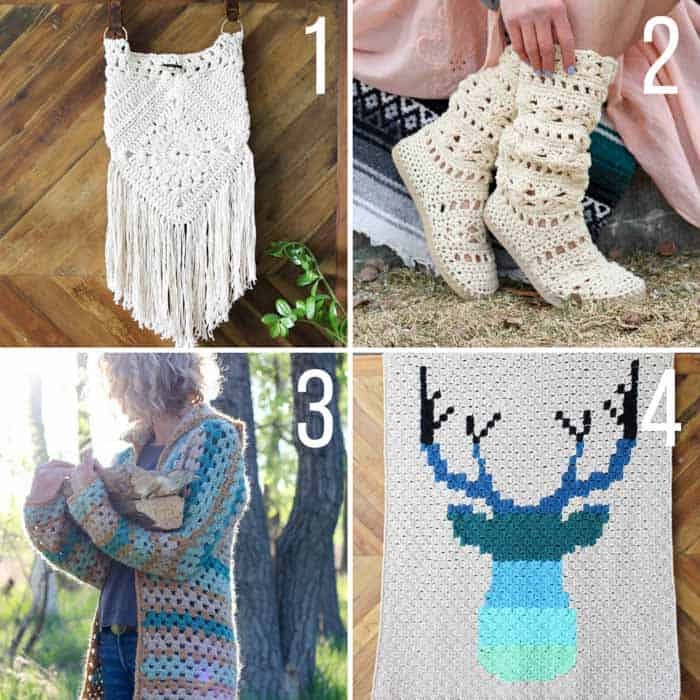 Now that you’ve finished this easy crochet basket pattern, here are some projects you might enjoy! I am so into making slippers right now. I got a bargain at Walmart the other day-.50 for thongs. I am trying to get all the info I can to be ready to start them next month. I am trying to use up my “mountain ” of yarn to make house shoes for our local mission, and the older seniors in my apartment building who certainly could use these. I’m 80 years old now and want to have 50 done by Christmas . I made stocking hats last year(150) and gave them to the mission and the feedback from them was awesome. Love your site and all of your comments.